If you are looking for another serving of a hilarious "Zoolander" humor watch the latest crazy sequel to the film "Zoolander 2." The film still offers the absurd, awkward dialogues and witty lines of the first films. The film is filled with unexpected cameos that would truly surprise you. The story is a bit predictable but enjoyable. "Zoolander 2" is a perfect film to see if you want just a chill time in the theater and just want to release that stressful thought from work or school. The film is an array of fun stunts and similar to the humour of Saturday night Live show on TV. The set design and location shoots for this film is majestic. Costumes and make-up for the whole cast was perfect. The overall cinematography of the film was crisp and fashionably wonderful. This is the kind of film that you watch while letting your high parameters for movie critique on. Zoolander 2 is a film best watched with your funny side on. I enjoyed it, a lay down kind of movie to balance a mind filled of worries. There might have been words that were used out of context that would make conservative Pinoys raise their brows. But seriously, why would we think too much when it comes to watching feel-good films like "Zoolander 2." There are also scenes that are hard to explain to a younger audience for the film contains mature humour. Chill-out it's just a movie. I totally love Kristen Wiig in this film, her acting is clean and memorable. Of course Penelope Cruz is still as stunning as ever. Benedict Cumberbatch as All is totally fun! “Zoolander 2” is the sequel to the 2001 hit comedy starring Ben Stiller and Owen Wilson, who are both reprising their roles of Derek and Hansel, respectively. Stiller also served as director of the original, and has likewise returned to helm the sequel. 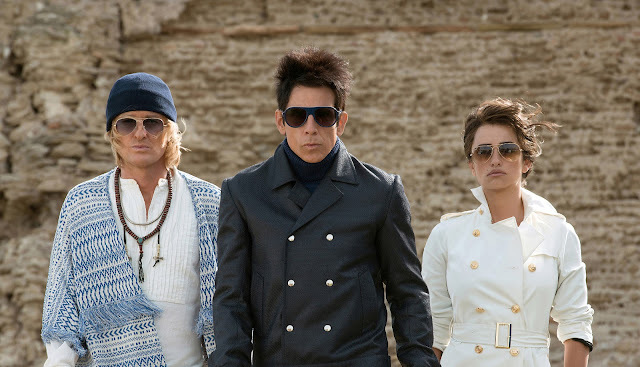 The cast includes Kristen Wiig as a big-time fashion mogul; Benedict Cumberbatch as All, an androgynous super model; Penelope Cruz as secret agent Valentina who needs Hansel and Derek's help to track down a group that is killing off beautiful people, such as Justin Bieber; and, Will Ferrell returning to play Zoolander’s main villain, Mugatu. Opening across the Philippines on Feb. 24, “Zoolander 2” is distributed by United International Pictures through Columbia Pictures.